It has become a tradition since the launch of 2 Seas Agency in June 2011: When September comes around, the 2 Seas team leaves the California beaches behind to go and meet with publishing professionals in Europe and elsewhere (see my articles on our trips to the Beijing Book Fair in 2011 and the Rio de Janeiro Book Fair in 2013). By Marleen Seegers – first posted in October 2014. As I pointed out in my recent Literary Agent Q&A with Publishing Perspectives, it is essential for a foreign rights seller like to create and maintain strong personal relationships with international publishing partners. The best way to do so, is to go out there and meet with them in person. This year, my European fall tour took me to Munich, Paris, and Amsterdam before I attended the Frankfurt Book Fair. From September 7 till October 14, I had about 220 meetings (plus the not-to-be-missed dinners and cocktail parties), of which I am happy to share my impressions below. The stable German economy has enabled the German publishing market to remain relatively healthy compared to other European markets (more on this below). German-language publishers tend to buy a lot from France and the Netherlands, the two most important language territories we represent. 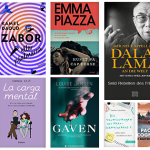 What is more, thanks to the 2016 Frankfurt Book Fair when the Netherlands and Flanders will be joint guests of honor, I already sensed an increased interest for our Dutch and Flemish titles during my visit to Berlin last spring. Now, in Munich (and later in Frankfurt), German publishers seemed even more eager to find the Dutch-language author to publish in fall 2016. I spent a full day in the Random House building, which helped me to make better sense of its various and numerous imprints such as Knaus, Blanvalet, Heyne, DVA, btb, Luchterhand, C. Bertelsmann, Goldmann, and Riemann. I got to personally know the specific editors in charge of French, Dutch, and English-language titles, which are often not one and the same person. I had further meetings with DTV, Herder, LangenMueller, Hanser, Beck, Droemer Knaur, Thiele, and Antje Kunstmann; several of whom we recently closed deals with (LangenMueller for instance virtually acquired Matthieu Ricard’s A Plea for Animals on the spot!). It makes such a big difference to see each editor in her or his ‘natural,’ daily environment, take a look at some of their recently published titles and most of all, to be able to take our time and get to know each other. 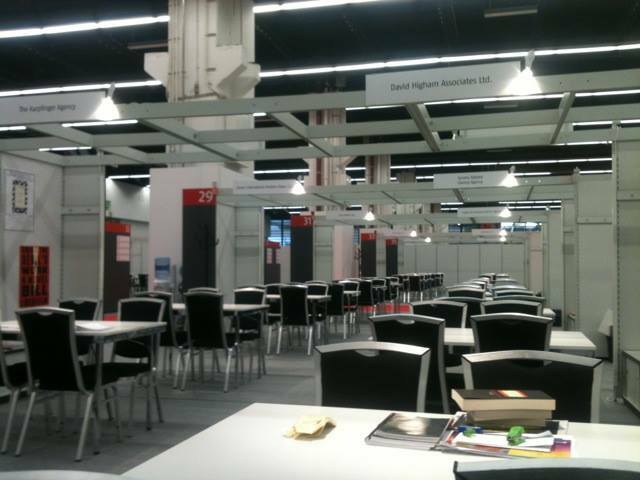 What a relief, compared to the 30-minute, back-to-back meetings at the Frankfurt Book Fair! 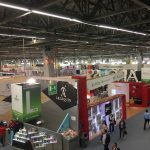 It had been a year since my last visit to Paris, so it was definitely time to catch up in person with the French publishers and agents we represent, literary scouts, and acquiring editors we sell to. Speaking of which, during my stay Actes Sud acquired French rights in Tales of Two Cities. The Best and Worst of Today’s New York, edited by John Freeman. This is our first deal—of hopefully many—with this beautiful independent publishing house based in Arles, in the south of France, with a Parisian satellite office. I also had a long meeting with the Allary Editions team, who received me in their offices in the 10th arrondissement—like an increasing number of French publishers they avoid the posh Saint-Germain-des-Prés district, the historical publishing center of Paris. We’ve negotiated over 30 deals for Allary’s titles since the beginning of the year, so you can imagine we had plenty to talk about! The French publishing market is still facing challenges. The entertainment retail chain Fnac continues to be under pressure, and the repercussions of last year’s bankruptcy of the Chapitre book store chain are still felt. Like elsewhere, mid-list titles are disappearing to make place for a large number of titles that sell a few hundred to a few thousand copies, and the occasional—but huge—best-seller. The title on everyone’s lips was Valérie Trierweiler’s controversial Merci pour ce moment, published at Les Arènes and of which more than 440,000 copies were sold in just over two weeks. Perhaps more than any other European country, the Dutch publishing market continues to be in turmoil: up until September, sales were down by 11% compared to the same period last year, whereas last year’s sales had already dropped by 10% compared to the year before. Severe lay-offs took place earlier this year, and the former stores of the Polare chain that went bankrupt in February still need to find stability (16 of the 20 stores found a new owner, the others closed down). Like in France, many publishers have recently been on the move: De Arbeiderspers and A.W. Bruna moved back to Amsterdam from Utrecht, and Amsterdam publishers Podium and the Dutch Media Group, with imprints such as Lebowski, The House of Books, and Meridiaan, have left the center of the city to settle in the Amstel Business Park, located in the outskirts of town. Amidst this turmoil, I was reassured to see newly established publishing houses bravely take on the challenge: Uitgeverij Brandt published its first titles this fall, and this summer former De Bezige Bij publisher Robbert Ammerlaan made a surprising come-back from his retirement, with a new publishing venture within the Dutch Media Group called Hollands Diep. Within the same group group, Meridiaan has also confirmed its presence on the Dutch publishing scene with its first publications, among which Hilary Mantel’s The Assassination of Margaret Thatcher. 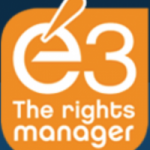 To end on an even more positive note, a large part of the rights deals we have concluded since this summer were sales to Dutch publishers. It seems to me that after having tightened their belts for such a long time, during which they acquired less and less titles, their publishing programs are showing enough space again to be filled in with new acquisitions. Moreover, these acquisitions aren’t necessarily already known, English-language titles which bring about less of a risk. On the contrary, we sold for instance two titles by classic Brazilian author José J. Veiga to Athenaeum at auction, the beautiful French-Canadian L’orangeraie to Nieuw Amsterdam, and earlier this summer we sold the Spanish literary gem The Boy Who Stole Attila’s Horse to De Bezige Bij, at auction. 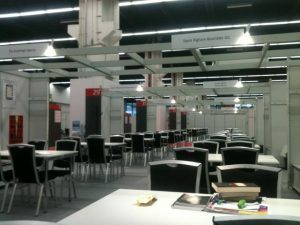 In Frankfurt I met with our co-agents, most of our clients, Scandinavian and English-language publishers, Germans based elsewhere than Munich, Dutch publishers which I couldn’t meet with in Amsterdam, American and British literary scouts, and other publishers whom we recently shared projects with. During the first day, at the crowded Frankfurter Hof, I immediately received an offer which of course is a great way to start the fair. Several other offers were made during the next couple of days! This was my fourth year in Frankfurt as an independent agent, and it’s gratifying to notice the change in the nature of my meetings over the years. As I observed in the afore-mentioned Literary Agent Q&A, just after having founded 2 Seas Agency I often faced a ‘wait and see’ attitude from the publishers I met with. Now, a considerable number of publishers sitting on the other side of my table had already acquired one or more titles from our catalog, which totally changed the dynamics. Several publishers told me that they thought there were less ‘big and hot’ titles in Frankfurt compared to previous years. Such ‘hot’ titles, which are mostly in English, are often acquired even before the fair. This year, people were still looking for ‘that one’ title. They were very interested in our Frankfurt catalog, which mostly contains non-English language titles.